This article introduces you to a list of translation services, tools and apps that you will make your life a whole lot easier over the course of your foreign language learning journey. They are ranked in no particular order; frankly, each of them has some pros and cons, and the best way to figure out which one you prefer is to try some of them and see for yourself. Enjoy this article, and share to anyone who might benefit from it! With this tool you may only translate thirty languages. Like a lot of the tools on this article, it is rather good at translating text, and yet it does not do anything extra to be able to call it better than the others. It is just as accurate as the others on this list, and there are not really any features that one may call unique or even all that desirable. This used to be rather more popular until Google came along. It is good for translating comments and tweets that have appeared in a different language. It only translates fourteen different languages and you can only translate 300 characters at a time. This is a tool that allows you to translate and will help you translate between different website search engines. The accuracy of the tool is not bad, and of its 35 languages it does have one or two that Google does not have. It is accurate by the way of making the text you translate more comprehensible for the users. It is a good alternative if you are looking for more than one opinion on how something should be translated. Some people do not know that they have a translation matrix, but they do. The only trouble is that you can only translate 300 characters. This is because they are wanting you to translate definitions and not to use this tool as some sort of text translator on a bigger scale. It is not something you may use if things such as Google translate is still around. This is a tool that allows you to translate your text into thirty six different languages. With it you may translate large chunks of text and they are still improving it and changing it by using developer input and user input. They are not yet up to the standards of Google translate, but they are still trying and are still making progress. How can anyone criticize Google Translate? Well, quite easily apparently, but those people do not realize how hard it is to create a program that accurately translates text. It is why we pay human translators so much money. It is difficult because the programs we use cannot understand the text, they can only guess as to its meaning. This means that there are millions of possibilities that it has to choose from. It is bound to get some of them wrong, and things such as sentence structure and syntax cannot be made perfect. Especially when you consider that the text you are translating is probably not written with perfect grammar, syntax, structure, etc. Google translate is a good program and it is free, which makes it all the better. This is rather a less used tool that only allows you to translate nine languages. Compared to modern translators it is almost redundant. The tool and attached website are interesting enough, and it may be worth linking to it if you do not want to stain up your website with the bigger search engines. Back as recently as the nineties, the possibility of a small home computer translating text was a fevered dream, and many people knew we were still a few years away yet. The oldest translation software currently available is this one and it was complete for the first time in 1968. It currently only works with fifteen languages. The name of the tool is pretty self explanatory. With it you may translate forty one languages. It allows you to translate those languages into just five other languages. Those are English, French, Portuguese, Spanish and Italian. It is a good translator and as the name suggests it is free, which means it is hard to complain about it. This is a translator that allows you to translate 44 languages, which pales in comparison to the 72 that Google translates. 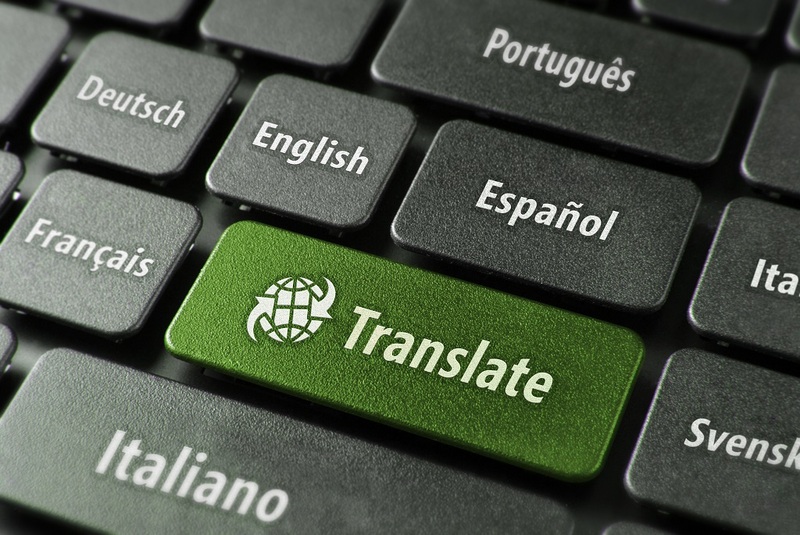 The reason that some people use this as opposed to other translators is because it has a UI (user interface) and like rubbing a brass door handle–some people have taken a shine to it. It is not a bad translator. This article was brought to you by Kate Funk, a content editor and writer at Aussiewriter. Kate enjoys teaching others how to benefit from different apps, productivity tools and marketing techniques. I have used some of the above sites, but recently found this site by happy accident — “imTranslator Translate and Speak” http://imtranslator.net/translate-and-speak/# It appears to translate 55 languages into 10 languages. As I am a beginner of learning Spanish, it is very helpful to have the translate and speak function. I do French to English translating as a volunteer and a paid translator. I use Reverso (registered as a translator) and Linguee, primarily. Reverso context is very good provided you weed out and report spam translations submitted by so-called users and linguee is excellent. Linguee is excellent but works by automatically matching the submitted phrase to bilingual websites and extracting the equivalent phrase in the other language so it sometimes fails badly. thanks for this post…i found it very amazing and informative… keep up the good work and keep posting.